Lumiere Casino is the next stop on the Shamrock FC event tour. Only eight events remain until what will surely be an an iconic event at SFC 300. In the SFC 292 main event, "Delicious" Cort Wahle takes on Trevor Ward in a bantamweight fight featuring two fighters both hungry for a win. 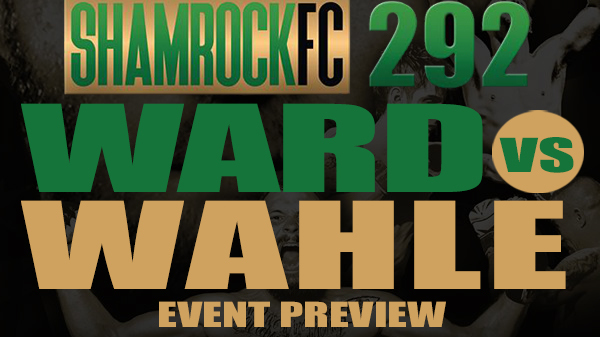 After a red hot start to his pro career that saw him win four in a row, Ward is now on a three fight skid, most recently a submission loss to Erion Zekthi at Shamrock FC 275. Tall and very technical, Ward is a tough match-up for most bantamweights. He'll have a sizable reach advantage on Wahle but is facing possibly the most skilled stand-up fighter he's ever faced. Wahle out of Alton, IL is an energetic, exciting fighter who has an arsenal of kicks and a quickly improving ground game thanks in part to his teammates at the HeadNod Squad. Wahle, a staple of the War Room, has a wealth of potential that we've only seen glimpses of and still seemingly remains untapped. Winning his pro debut, Wahle would drop the next two before a rebound win over Raul Romero in March. The winner of this bout should take a big step forward in the SFC bantamweight rankings, and is one fight closer to that elusive SFC title shot, currently held by Jordan Howard. Light heavyweight Ryan Sutton, the head wrestling coach at Finney's MMA, will take on Sprinfield, MO's Lucas Overcast. Sutton, a Shamrock FC color commentator for their PPVs, will step out from behind the scenes and into the co-main event spot. Winning three out of his last four fights, Sutton looks like he's figured out some of the issues that plagued the early part of his career. Overcast doesn't have the best of records, but has faced some tough competition with the likes of Derek Bohi, Matt Lucas, and Joel Wyatt. Overcast will need a plan to deal with the physical tenacity of Sutton, who uses the heavy pressure of his wrestling to smash his opponents into submission. Prolific amateur fighter Jordan Collins will make the leap to the pros when he takes on Dillon Tolbert. With over 30 amateur fights Collins has faced just about every bantamweight in the area, with mixed success. Tolbert is an excellent first fight for Collins with Collins having a definitive experience edge despite Tolbert having several more pro fights. You could easily see these two banging it out on the feet for three full rounds. Rounding out the main card is Derik Scott making his professional debut against Coty Cook. Scott is making the jump after coming up short in his bid to win the SFC amateur lightweight title. Scott fighting out of JD's Gym follows his brother Shaun into the pros and is an exciting fighter to watch. He likes to push the pace, Cook will need to have good cardio to keep up with Scott. After making his pro debut in 2011 against Zach Freeman, Cook disappeared from the competitive scene before resurfacing in March with a TKO victory over Chris Petty. Cook has found a home at the Wolve's Den in Wentzville and appears to be rejuvenated. The undercard features KO specialist AJ Graham out of Cahokia MMA versus a yet to be named opponent as well as a host of other up and coming amateru fighters looking to make a name for themselves. 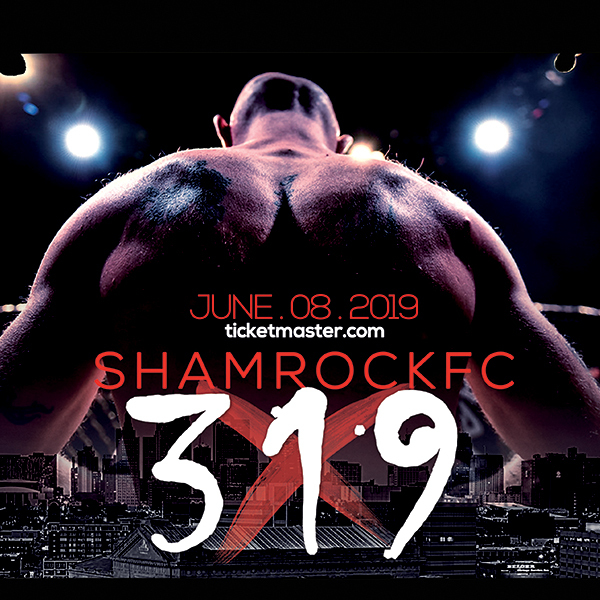 Tickets are available from the Shamrock FC store and event will be streamed live on PPV.